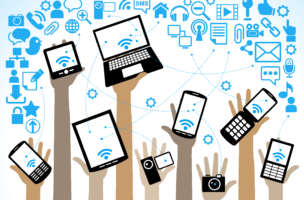 The Baltimore County Department of Health recently received a grant to enroll people with prediabetes in the National Diabetes Prevention Program (NDPP), an evidence-based lifestyle change program. The NDPP in Baltimore County is offering free seminars to help those with prediabetes and at risk for developing type 2 diabetes. One in three adults have prediabetes and most are unaware of their condition. Prediabetes means a person has a blood glucose (blood sugar) level higher than normal, but not high enough to be considered diabetes. Type 2 diabetes is the most common form of diabetes, and it is preventable. People with prediabetes may delay the onset of type 2 diabetes and possibly return their blood glucose levels to normal by participating in this free program. The NDPP in Baltimore County meets in a small group for just one hour every week for 16 weeks. A trained lifestyle coach leads the weekly sessions to help participants improve food choices, increase physical activity, and learn coping skills to maintain weight loss and healthy lifestyle changes. The goal of the NDPP is to have participants eat healthy, be more active, and lose body weight and keep it off. You may be eligible for the Diabetes Prevention Program if you have a Body Mass Index (BMI) of at least 24, and have been told by a doctor you have prediabetes, or score 9 or higher on the diabetes risk test. Take the online prediabetes risk test. 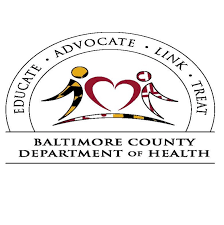 Registration and enrollment is currently taking place for the diabetes prevention program, which is being offered through the Baltimore County Department of Health. For more information or to register, call Kim High at 410-887-0413 or email khigh@baltimorecountymd.gov.